This is a fun yo-yo. This is also an unresponsive yo-yo with hub-stacks. (A bind is required to bring this yoyo up)! The Blazing Team heroes find inner balance and unleash the powers of light and darkness with Yo Kwon Do! Based on the popular Blazing Team TV show, Blazing Team toys let kids begin to practice exciting tricks and spinning their skills into action. Kids can continue their training to become Yo Kwon Do masters with the Vortex Spin toy that lets kids practice powerful tricks and spins without a single throw! 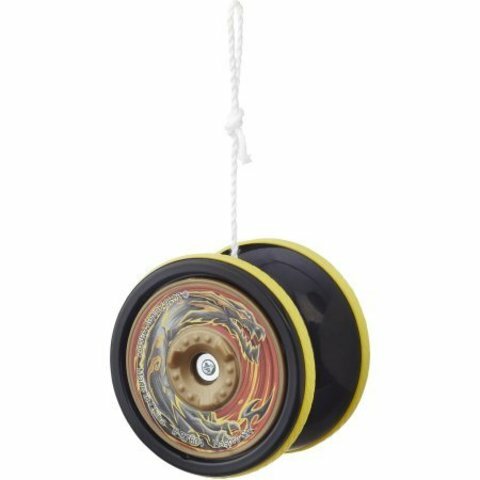 Kids can roll back, let go and the Vortex Spin toy will whirl into action! With the power to roll and go plus classic tricks, the Vortex Spin toy lets kids be the future heroes of their own Blazing Team! 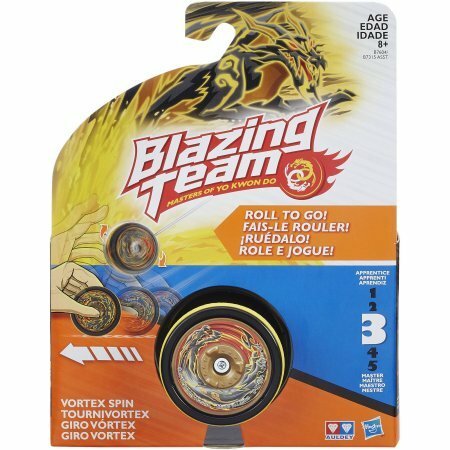 With the Vortex Spin: Dark Dragon, Blazing Team players can imagine they can breathe fire. 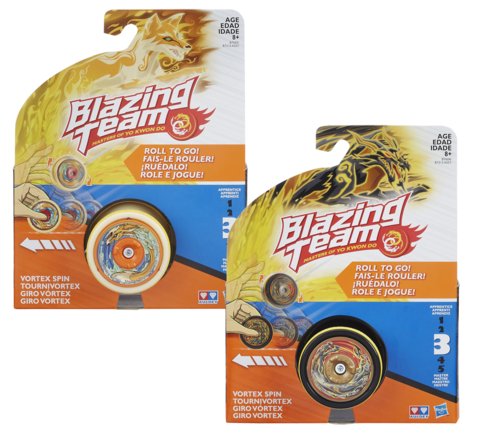 Blazing Team is a trademark of Alpha Animation and Culture Co., Ltd. Hasbro and all related terms are trademarks of Hasbro.